The Statistical Society of Canada today announced that Professor Nancy Reid has been awarded the Gold Medal of the Society. The Gold Medal is awarded to a person who has made substantial contributions to statistics or probability, either to mathematical developments or in applied work. The Gold Medal honors outstanding current leaders in their fields. Professor Reid is University Professor and Canada Research Chair in Statistical Theory and Applications in the Department of Statistics at the University of Toronto. She received a B.Math. from the University of Waterloo, an M.Sc. from the University of British Columbia and a Ph.D. from Stanford University. She followed this with a NATO postdoctoral fellowship at Imperial College and an Assistant Professorship at the University of British Columbia, where she stayed for five years before moving to the University of Toronto. In 1988, she was appointed Professor, in 2003, University Professor, and in 2007, Canada Research Chair, at the University of Toronto. Professor Reid is a Fellow of the American Statistical Association, the Institute of Mathematical Statistics, the American Association for the Advancement of Science, the Fields Institute, and the Royal Society of Canada. She holds an impressive list of awards including the Emanuel and Carol Parzen Prize for Statistical Innovation, the President's Award of the Committee of Presidents of Statistical Societies and the Canadian Mathematics Society's Krieger-Nelson Prize Lectureship. 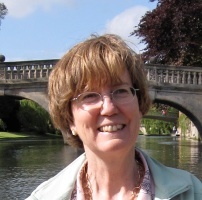 Nancy Reid has made outstanding contributions to the mathematical theory of statistics. She has worked on difficult areas in the foundations of statistical argument and inference, and some of her work impinges on the very core of the scientific method itself. Professor Reid is widely recognized as one of the leading theoretical statisticians internationally and is well known for her work on higher order asymptotics, profile likelihood methods, notions of parameter orthogonality to develop and extend conditional inference (leading to the .Cox-Reid likelihood. ), nonparametric statistics, influence functions, and an important series of papers in the last few years on Bayesian and frequentist methods. Widely sought as a speaker at international conferences and the recipient of several named lectureships, Professor Reid has an extraordinary ability to write and lecture on difficult areas of theoretical statistics with valuable insight and overview. Professor Reid is an inspirational leader in the development of the statistical sciences in Canada and internationally. She has served the SSC as President, as Editor of the Canadian Journal of Statistics, and on very many advisory panels in the U.S. and Canada. She has played a pivotal role in the evolution and growth of the statistical discipline in Canada and in mentoring young researchers in statistics. To Nancy Margaret Reid, for fundamental contributions to statistical inference, particularly in small sample approximations for likelihood-based inference, the role of model geometry and the synthesis of frequentist and Bayesian methods; for the development and elucidation of methods of scientific importance; and for the impact of her leadership on the advancement of statistical sciences research in Canada.